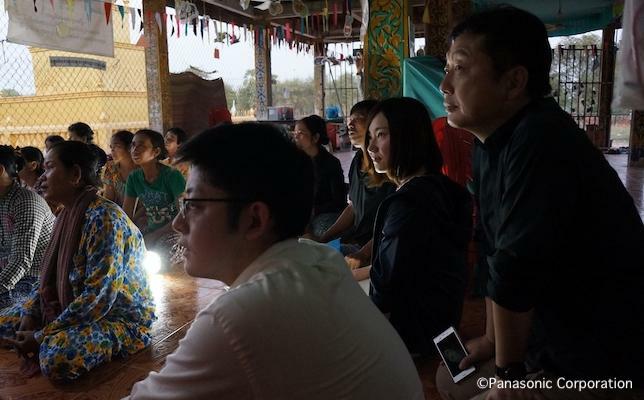 Four volunteer employee reporters who visited Kampong Cham Province in Cambodia as part of "AKARI" Bringing Light to People Project share stories of their three-day journey. 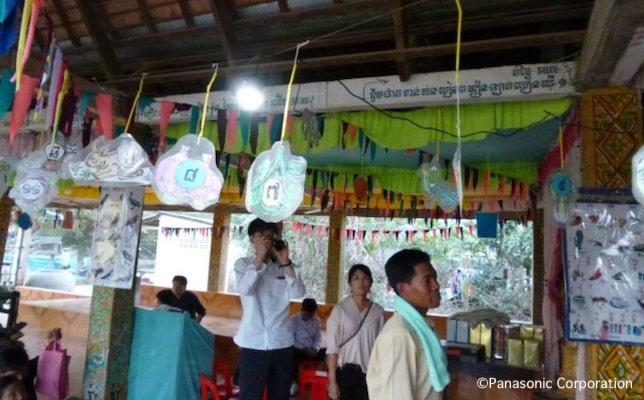 After completing its "100 Thousand Solar Lanterns Project" in January 2018, Panasonic kicked off the Bringing Light to People project in March 2018 to expand the circle of donations and work together with others to deliver light. 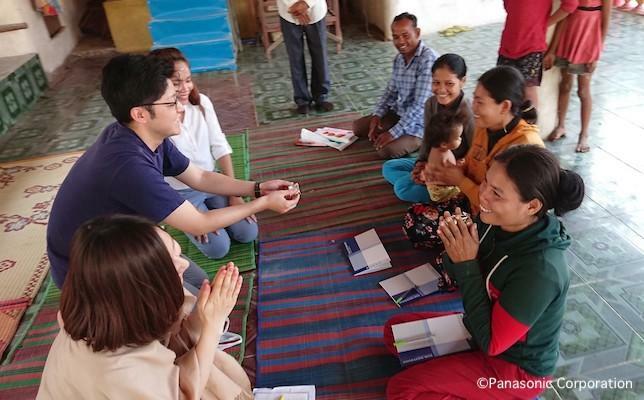 In February 2019, four volunteer employee reporters chosen from within the company visited a group called Japan team of young Human Power (JHP) in Cambodia and shared what they learned through their conversation with villagers. The majority of villagers enrolled in literacy programs, when asked, "What do you want to do when you complete the literacy program?" would shake their heads and say, "I don't know." When we visited the villages ourselves and saw with our own eyes how these villagers led their lives, we saw how they barely had enough to get by each day and realized how difficult it is for these people to dream about a future since they'd never had the chance to "picture a future built upon literacy." 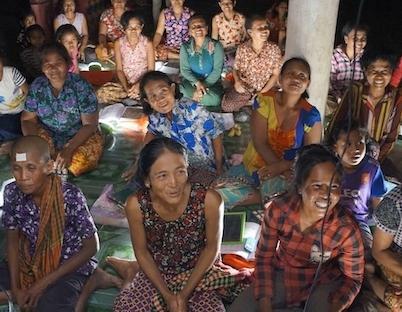 Meanwhile, women who had completed their literacy programs spoke with beaming smiles about their desire to work more and their hopes for the future. They said, "When I couldn't read, it was terrifying just to go somewhere for the first time," but their ability to read has instilled them with confidence and enabled them to portray specific goals for the future. Additionally, villagers use the solar lanterns when preparing meals for their family, when studying together with children, when visiting relatives, and furthermore, when working into the night to support household finances. They not only use the light for themselves but also for helping one another. Solar lanterns may be small but they fulfill a major role as a lifeline for these people. These three days changed my outlook on the world. Until now, these people were distant beings who lived in "another world" but after meeting them, I realized that there is no "other world" and that they are people just like us, living in the same world. What was particularly impressive was the lives of the local people. Before coming, I had imagined a primitive lifestyle of "waking at sunrise and sleeping at sunset," but the truth couldn't have been more different. The locals were living by the dim light of flashlights in pitch darkness without street lamps, constantly in danger of encountering snakes and animals lurking in the dark. Their need for the light of solar lanterns was much more than I had imagined. During this trip, I took mainly pictures of people studying earnestly by the light of solar lanterns and families laughing and enjoying each other's company. People living in villages without electricity here make a living by cultivating rice and raising cows that are thin as goats. Their lives are not easy, but they live sincerely and diligently, with their minds facing toward the future. Their desire to live this moment to the fullest was abundantly clear. We tend to think too much about the future and fall into negativity, but I feel as though these people taught us the importance of living in the moment. When asked what kind of electrical appliances they'd like in their lives, they did not want TVs or refrigerators and instead answered unanimously that they wanted "light." They think only of what is necessary and live each day to the utmost, instead of seeking luxury. Spending time with these people was a thought provoking experience for me as an employee of an electronics manufacturer. Until now, my idea of product development was always based on how products can realize a better life. Having electricity was always a given. My experience as a volunteer employee reporter has helped me realize how narrow-minded I'd been until now. Products should be developed to help the lives of people living in areas without electricity. That is how I think now. I saw with my own eyes the light that shines brightly through employee donations. People where we recently visited in Cambodia suffer from low literacy rates, especially in rural areas, as a result of academics and teachers having been murdered under the Pol Pot regime in the 1970s. In fact, the literacy classes that were our main destinations were built mostly around basic reading, writing, and arithmetic, with some students saying they'd only gone to school until the fourth grade or not having gone to school at all. In that situation, every student dove into the textbooks by the light of solar lanterns and I saw how "having light" is not always the norm. I will never forget the happy faces of people who hope to expand their business or have gained confidence through literacy, as well as the sad faces of people who have been cheated repeatedly due to their illiteracy, or were at a loss as to how to solve their endless list of problems. Join us in bringing light to people. See here for details of the Bringing Light to People project that will shine a bright future for people through donations.